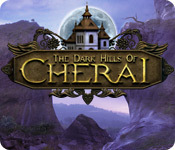 The Dark Hills of Cherai is rated 3.1 out of 5 by 16. Rated 5 out of 5 by JulieJay from The Dark Hills of Cherai I absolutely loved this game. 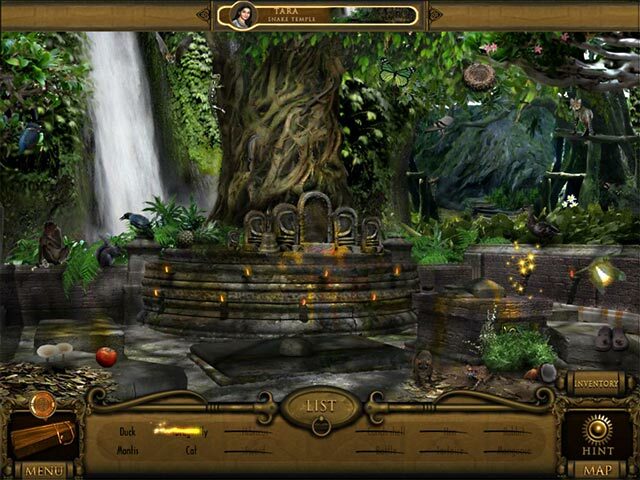 Hidden Object Puzzle Adventure. Some HO scenes were by list and some find x amount of objects - phobia beware : one was find 12 snakes. This game was very unique and since it was released in 2009 I cannot understand why more developers have not adopted some of this game's unique qualities. Rated 5 out of 5 by dino108 from Most Challenging game I've played Need more like this one. Almost needed a notebook to keep up with all the stuff we had to find and keep up with which character needed what item to complete the tasks. Truly AWESOME game. Rated 5 out of 5 by Hookedonbigfish from Great hidden object game I liked the three way assault on the magician and the back tracking to and from the meeting place. Rated 4 out of 5 by rosekaufmann from A DIFFERENT AND COMPLEX TYPE OF GAME STORY: Grandmother tells a tale of a magician and lost treasure to her 3 grandchildren. Rahul takes off to search for the treasure and is instead captured by the magician. Maya and Tara are then off to save him. Since you will be changing characters frequently, some may find it difficult to follow the story. GAMEPLAY: Nonlinear and inventive. Unique adventure-HOG game is much more complex than usually encountered. You take turns playing the 3 characters (click character at top of page to change), each following their own path of lovely Indian locations and encountering puzzles they can’t complete, because they lack the necessary objects. So consider this if you get stuck with one of the characters. They also find objects that they can’t use themselves and they there exchange objects at the Meeting Place. HOS are not too crowded and objects are clearly defined. 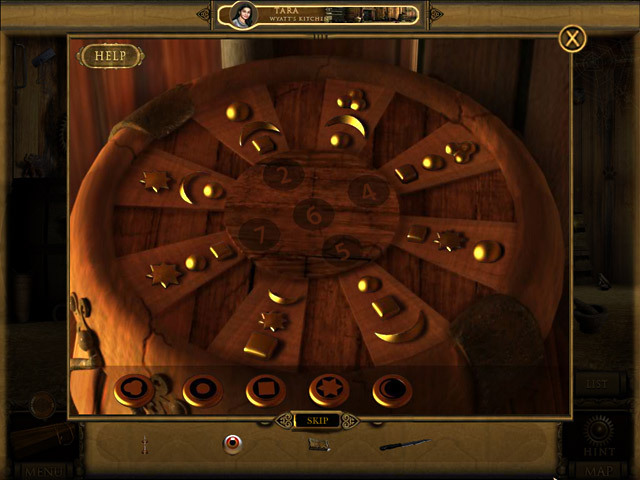 There is a wide variety of very interesting puzzles; mostly unique, with difficulty ranging from easy to very challenging. But directions are not always clear. Hints recharge slowly. OTHER STUFF: What is a lot of fun is the complexity of swapping. You need (1) a terrific memory or (2) pen and paper or (3) W/T to keep track of which character needs what to complete their tasks because it isn’t always obvious who needs what. Otherwise, you’ll be playing for days swapping objects, characters and revisiting locations at random because you haven’t swapped the right objects. Location graphics are absolutely gorgeous, with great animation and visual effects. MAP tells which locations have been completed and which have pending actions. LENGTH: Over 5 hours at very casual mode. Rated 4 out of 5 by DutchDoll60 from Something a Little Different At first, I didn't think I would care for this game, but it has it's moments. It does have a little something different to offer. Although the experts may get bored, the lower intermediates, like me, and the beginners will find it a bit of a challenge. The story line is a little different as is the setting, the game did not drag for me. The only thing I would have liked was a different ending. Rated 3 out of 5 by mrm2006 from Grandma's Story ends in a Children's Adventure. Grandma was telling her grandchildren about the mysterious Wyatt who was a fortune seeker and adventurer. He found the treasure of Cherai and then befell with a curse. Before he died, he hid the treasure in his house so no one would ever find it. Of course, now one child after the other wakes up before the others to seek this house of treasure and curses. The graphics are poor. Very dark and monochromatic. The sound is ok - no voiceovers or lip syncing. Everything is read and there is a LOT to read as the story unfolds through the tale of a butterfly and a magician. The entire game is made up of hidden object games. The items can sometimes be difficult to find but my primary difficulty came playing the mini games. Some were not too bad after some thought was given. Others were just impossible for me. What would eventually have been too confusing for me is after all the grandchildren and the grandmother have awoken and gone in search of the others. You end up searching as each of the 3 children and the grandmother. And, sometimes inventory items cross and so they have to go to "the meeting place" and exchange items. While I enjoyed the free demo, I think the game would have become too confusing for me to act as 3 or 4 different characters. Therefore, it's not a buy for me. But, I do recommend that everyone try the game. It might be just the mystery you're looking for. Happy Gaming! Rated 3 out of 5 by neilskinut from not my cup of HOG Just did not like it. Maybe to much of a challenge for me. Rated 3 out of 5 by krystal59 from lots of puzzles This game had a good basic idea, where you play as three different people and have to meet to exchange inventory items. I played the sequel first which may have spoiled me a bit as they corrected a lot of the flaws in this one. First that most of the HO scenes are dark and the items on the small side. The ending was quite easy also, you just need to follow the color codes. But all in all this game was pretty good. lots of locations, a good map and a decent diary that you really did need to read. I found there to be a bit too much reading but I liked the amount and variety of puzzles and it had a storyline to it. If you can pick it up on sale it's a decent way to pass some time. Rated 3 out of 5 by glorylynn from Buy when on sale I grabbed this one as a get it half off purchase. The graphics are awful making the hidden object scenes pointless, the puzzles are vague. I haven't even finished it yet, barley play it. Save your cousin from an evil magician and find the treasure of Cherai! Explore a mysterious palace in the Dark Hills of Cherai!